Developed by Microsoft, Active Server Pages .NET or ASP.NET is a completely open-source web application framework on the server-side which is used to develop dynamic web pages. It is used to create web technologies, web pages, web applications, and web services and is an integral part of Microsoft's .NET framework vision. As a part of the .NET framework, ASP.NET is an important tool for developers and programmers which help them build rich websites and web applications. ASP.NET is not only limited to scripts, it allows the developers to use other .NET languages such as C#, VB, etc. It is built on a common language runtime that can be used to host any powerful ASP.NET technologies and websites on any Windows server. Outsource2india excels in building some of the best looking websites and web applications using ASP.NET technologies. We have the capability to develop .NET applications with any kind of back-end integration using MySQL, Oracle, etc. Outsource2india has been providing quality ASP.NET services and a host of other software development services to clients around the world for over 20 years now. Our services have always evolved with time and incorporate all the latest technological developments in the software industry. 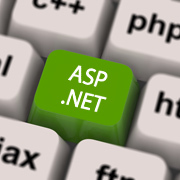 We understand the various advantages of ASP.NET programming and try to incorporate all of them in your product. Our team of expert web developers has the knowledge of the latest trends in the market and uses it to produce the best results. If you have any kind ASP.NET programming and development requirement, feel free to contact us or talk to one of our representatives, and we will get back to you within 24 hours.